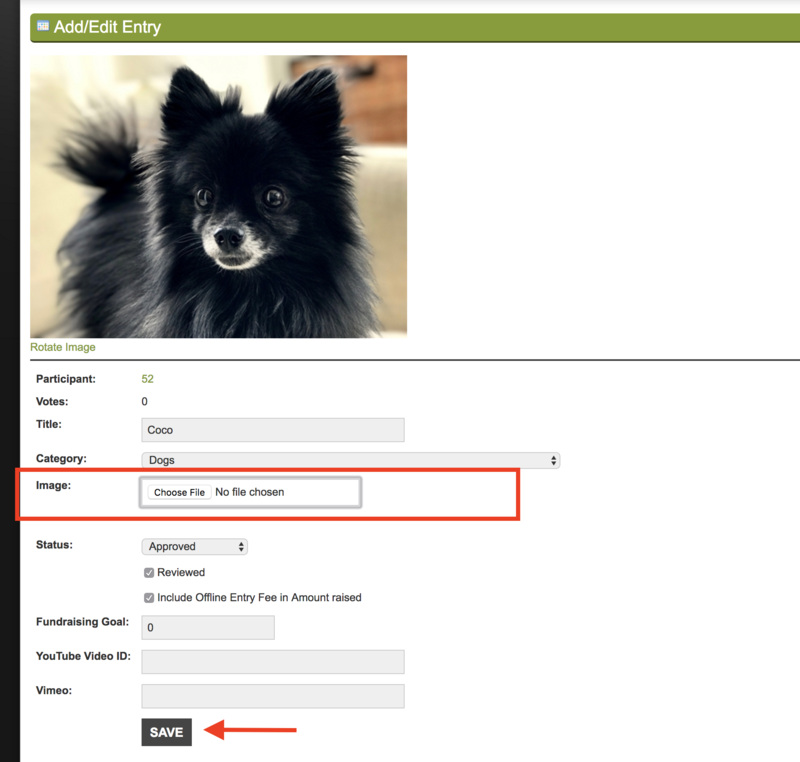 The only way to change an image on an entry is through the GGPC Admin- entrants cannot change their images themselves. To change the photo on an entry, follow the steps below. 5. The Add/Edit Entry screen loads. Select CHOOSE FILE next to the Image field and navigate to the new photo on your computer. You may have to REFRESH the page in both the GGPC Admin and at your contest site to see the new image- sometimes the old image will remain cached in your browser.